Songs this good will grab you and never let you go. 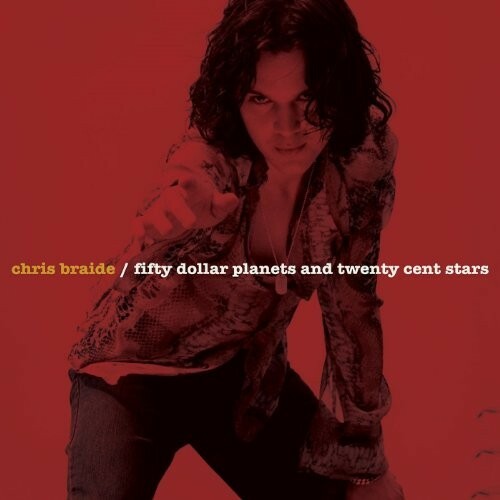 Never heard of Chris Braide?! No, neither had I until two weeks ago! Braide is a singer/song-writer/producer and multi-instrumentalist with a C.V. that makes for very impressive reading. Hailing from Cheshire, he now lives and works in Los Angeles and has worked alongside such names as Britney Spears, Christine Aguilera, Paloma Faith... to name but three (Did I really just mention those Pop Princesses in such a hallowed magazine as this? Oh dear, I could be in for the chop!! (Dodgy ground-Ed)). To bring some Rock credibility to the review, Braide cites Marc Bolan as a great influence; he has also worked alongside Glen Tillbrook and Chris Difford (Squeeze) and formed a partnership with Geoff Downes (Yes) in 2012, with whom he produced the highly rated, yet somewhat obscure album ‘Pictures Of You’. This is all rather impressive, but does this, his third solo album, match up to his reputation? It is the rather Bolan-esque named titled track which opens the album, and it’s the only song that has a real Rock ‘n’ Roll swagger to it – it immediately reminded me of early Rolling Stones with a dash of Lou Reed and just a light sprinkling of Prince; a great start for sure! The remainder of the album is unashamedly a quintessential singer/song-writer album, but whilst it mainly sits comfortably in mid-tempo territory, it never becomes dull. Mainly acoustically driven throughout, Braide’s vocals are a delight and very easy on the ears (by the way ladies, he’s also easy on the eye... apparently). What impressed me the most though, was his vocal range; never straining, often beautiful, unpretentious and never afraid to flirt with a higher register, which he does so well. Even on the initial spin, every song feels like an old friend. The two out and out ballads ‘Let Me Love You’ and ‘What It Does To Me’ are exquisite, and both have resounding choruses with orchestration to match. ‘This Is For The Girl’, ‘Fascinating’ and ‘It’s Not Too Late’ would excel (if they haven’t done so already) on mainstream radio, while ‘Beautiful‘ has an edge to it akin to Vega; Braide does, at times, sound a little like Nick Workman which is no bad thing. ‘Sophia’ has a Womack & Womack ‘Teardrops’ vibe that will certainly reel you in. With every song a winner, ‘Fifty Dollar Planets...‘ has, in the past fourteen days been mine and Mrs C’s permanent in-car entertainment as we’ve been touring Menorca and it is already high on my list of favourites for 2014. Why not embrace your mellow side... as songs this good will grab you and never let you go... trust me! !